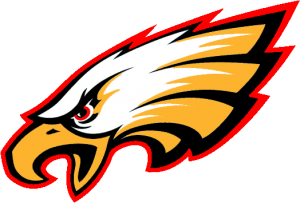 We wrap up the LQPV boys baseball teams season with Coach Bart Hill and also the LQPV girls golf season with coach Stender…STATE CHAMPIONS! We all figured it was going to be close. 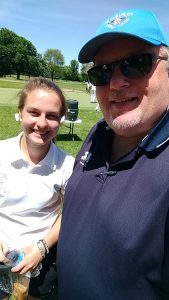 The LQPV girls golf team, along with Fillmore Central, BOLD, and Park Christian all were within a few strokes of each other finishing up the final nine holes of the state golf tournament. Who was going to come out on top and win a state championship? The nerves, the anxiety the pressure was at an all-time high. It was too much to take at times. In the end, the Eagles from LQPV won by one stroke! 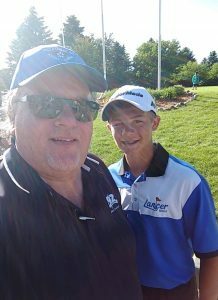 What I experienced a couple weeks ago at Pebble Creek golf course in Becker covering the state golf meet was amazing. Two full days of high school golf competition with the best high school golfers in the state. The boys and girls were under pressure to perform at their best. Parents, grandparents, brothers and sisters, uncles and aunts, cousins, and friends were all following their favorite golfer down the fairways. You couldn’t have asked for better weather for the state golf meet; low humidity, temps in the low 80’s with a light breeze. I love being at Pebble Creek covering the state golf meet. I, along with everyone else, put in some long days at Pebble Creek and it was all so much fun. The Minnesota High School League and Pebble Creek golf course do a great job running and hosting the state meet. 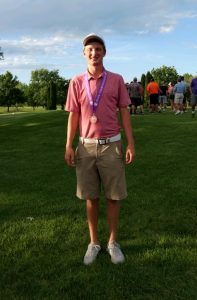 We have some amazing young golfers in our area. 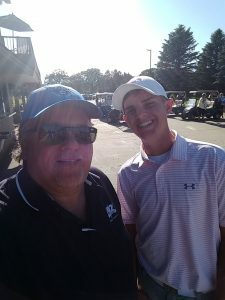 A week before the state tournament, I interviewed all of the kids who would golf at the state meet. 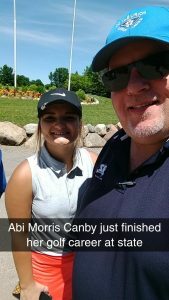 I interviewed Nolan Boerboom of Minneota, Abi Morris and Jake Wagner of Canby. Mikayla Rasset of Ortonville, Tyler Lund of Dawson-Boyd and the LQPV boys’ and girls’ teams. All these kids are wonderful, kind and respectful. 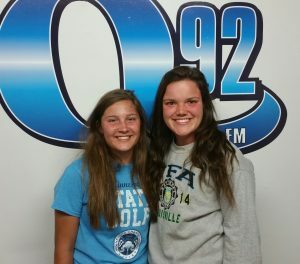 Mikayla Rasset of Ortonville is only a sophomore, she plays golf like an experienced senior. What impressed me about Mikayla was her calm and peaceful demeanor. She was very easy to visit with and she had a large contingent of family and friends cheering her on at Pebble Creek. The LQPV boys’ team finished in fifth place, which was disappointing for them after finishing state runner up last year. I reminded a few of them, that they did the best they could and remember they don’t have a senior on the team. Still fifth place is pretty good for such a young team. 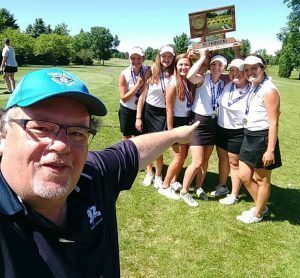 I was standing next to Coach Kipp Stender of the LQPV girls team when he was told by another coach that his team was state champs by one stroke. I confirmed this to Kipp since I read on the MSHSL website that the LQPV team had 714 strokes and Fillmore Central had 715 strokes. What a feeling that was for him and the girls! Tears of joy began to flow and many LQPV fans smiled at the happy news. State Champions! Rachel Halvorson was also a state champ individually finishing in first place. So a double reason to celebrate! Rachel, her sister Sarah, along with sisters Abby and Bella Stender, Chloe Ludvigson and Ellie Jacobs worked so hard all season long for that goal of winning a state championship. And they did just that! 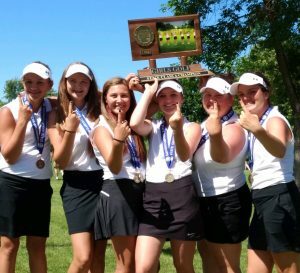 The LQPV Girls golf team are the 2018 Class A state champions! !